Jan Barker, CEO, Girl Scouts Heart of Michigan, reports for Michigan's Dexter Patch that "Girls are interested in careers in science, technology, engineering and math (STEM), but they don't consider them to be their first choice, according to a recent study by the Girl Scout Research Institute. The GSRI study tells us that girls know they are smart enough to pursue a STEM field, but don't know enough about available careers. That's where Girl Scouting comes in." 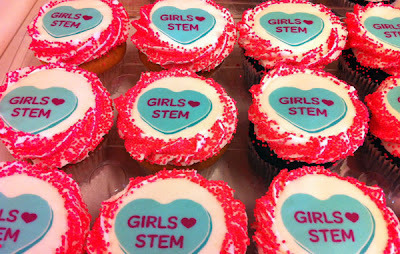 The Girl Scouts Heart of Michigan recently created a program called Brain STEM. Through Brain STEM, girls have fun learning to design a dome with gumdrops, create batteries out of food, build a rocket, fix broken machines, play equation bingo and make a car that runs on rubber bands. The girls also go on field trips to learn more about these careers and what it takes to land jobs. Girls realize they can study science, technology, engineering and math in college. The hard part is making the conversion from childhood interest into grown-up careers. Today, women are well-represented in medicine, but they earn only 20 percent of bachelors degrees in engineering, computer science, and physics. Only a quarter of the jobs in STEM fields nationwide — and 11 percent of engineering jobs — are held by women.